We always passed by this Coal Country Miniature Golf along Interstate 79 in Fairmont, West Virginia. I would like to explore their facility someday. Although I am not a golfer, it would be nice to try and experience their 18 hole golf course, batting cages, and mining museum. I think it would be fun. Going on a road trip is always fun because you get to see a different picture of what you usually see in the city. Exploring your own state is the cheapest way to have fun and discover new things. We still have a lot of places to explore in our own state and we are slowly doing just that with kids. Whenever we have time, we always go on spontaneous road trips. Without planning about it, we always end up discovering fun stuff to do and see new places. The latest cities we have visited are the Buckhannon Upshur and Elkins. You never know what exciting things you will discover when you go on a road trip. My kids love it. The sight of cows and horses always bring a smile on our faces since we don't see them in the place where we live. How about you, do you go on a roadtrip on your own state? For many families, a great vacation creates treasured memories, close bonds, and warm feelings towards each other that last a lifetime. Here are five destinations that offer families just the right combination of attractions, activities, nightlife, and accommodations, for the perfect family vacation. Boston,Massachusetts, offers family vacationers a blend of colonial history, great food, river cruises, a world-class aquarium, and some of the country's most beautiful neighborhoods all within easy walking distance of each other. Weighing in at just 0.36 square miles, the tiny North End (Boston’s Little Italy) alone has almost one hundred attractions including the Old North Church, the Paul Revere House, the world-renowned Regina Pizza, and the equally famous Mike’s Pastry. For more kid-friendly fun the New England Aquarium features over two thousand species of fish and mammals, and an Imax theater. At the nearby Boston TeaParty Ships & Museum, visitors enjoy a reenactment of one of the most crucial events in American history. Just across the Charles River, the Museum of Science has a variety of interactive exhibits and an indoor zoo. Also in Charlestown, the wooden-hulled, three-masted heavy frigate USS Constitution, a.k.a. “Old Ironsides”, hosts the family-inspired “All Hands On Deck” exhibit. In nearby Cambridge, the modern Cambridge Side Mall hosts all of the major retailers and is a boarding point for many of the historic cruises that travel the Charles River and Boston Harbor. Few destinations offer the mix of indoor and outdoor activities, incredible scenery, theme parks, and reasonably priced lodgings as Gatlinburg, Tennessee and nearby Pigeon Forge. Located at the entrance to GreatSmoky Mountains National Park, Gatlinburg and Pigeon Forge are home to Dollywood, three mountain coasters, two water parks, and year-round family themed festivals and events. With a variety of music, comedy, and magic shows geared towards all ages, a night out in Gatlinburg means no sitter needed. When it’s time to relax and kick-back, nothing beats a GatlinburgRental Cabin. A Gatlinburg rental cabin offers just the right amount of space for family time together, and privacy for time apart, as well. Most cabins feature large porches with swings, fireplaces, fully-equipped gourmet kitchens, and an arcade room. Some larger cabins even have hot tubs and home theaters. All cabins come with breathtaking views of the beautiful Smoky Mountains. Gatlinburg rental cabins range from one to twenty (!) bedrooms in size. Known as the performance home of a number of major country music stars, Branson, Missouri specializes in family entertainment. Outdoor activities in Branson include camping, hiking, biking, kayaking, zip lining, canoeing, horseback riding, fishing, hunting, and rock climbing. For thrills of the man-made variety, Silver Dollar City - a theme park of the 1880's - has the brand-new, world’s steepest, tallest, and fastest-spinning roller coaster called the “Time Traveler”. Other Branson attractions include Branson's Promised Land Zoo, Bigfoot Fun Park, Branson Jet Boat rentals, Ripley’s Believe It or Not, the Hollywood Wax Museum, several go-kart tracks, miniature golf, and Branson Mountain Adventure Park - home of the Runaway Mountain Coaster. Thanks to some great restaurants and family-oriented dinner shows family time in Branson continues after the sun goes down. The Always Country, Definitely Gospel show brings country and gospel music together through the vocals of Faith's Journey. In the Comedy Hypnosis Dinner Show talented comedian Jecobie Roberts blends comedy and hypnosis for a night of side-splitting fun. Then, of course, there’s Dolly Parton'sStampede, the world's most visited dinner attraction. Six towns, seventy-two miles of pristine beaches, year-round warm weather, lots of outdoor activities, and the Kennedy Space Center make the Florida SpaceCoast a perfect destination for family fun. The popular and admission-free refuges and protected lands of the Enchanted Forest Sanctuary, the Merritt Island National Wildlife Refuge, the Turkey Creek Sanctuary, and the Barrier Island Sanctuary feature walking trails, exhibits, picnic tables, and hundreds of species of wildlife. Along with the Kennedy Space Center, the American Space Museum & Space Walk of Fame also call Florida’s Space Coast home. With Disney World less than an hour's drive to the west, visitors to Florida’s Space Coast get to enjoy the best of both worlds - a day at the park and an evening on the boardwalk. When evening does roll around, the beautiful and historic downtown areas of Cocoa Village, Melbourne, Titusville, Cocoa Beach, and the Eau Gallie Arts District in Melbourne have dozens of family-friendly eateries, shops, and year-round live events. Attractions like Morgan’s Wonderland, Inspiration Island, Six Flags Fiesta Texas, the San Antonio Zoo, and SeaWorld & Aquatica San Antonio, keep families coming back to San Antonio year in, and year out. There’s also the Witte Museum with a mix of dinosaur exhibits, and local cultural exhibits and artifacts on display. iFly, an indoor skydiving venue, lets visitors enjoy the thrill of skydiving without ever leaving the ground. Not to be forgotten, the historic Alamo features reenactments of the Texas Revolution along with interactive tours and exhibits. San Antonio is also home to the beautiful San Antonio River Walk. The River Walk stretches fifteen miles and passes right through the downtown, mission, and museum areas of San Antonio. The tree-lined River Walk features restaurants for every taste and budget, plenty of shopping, and incredible sightseeing. 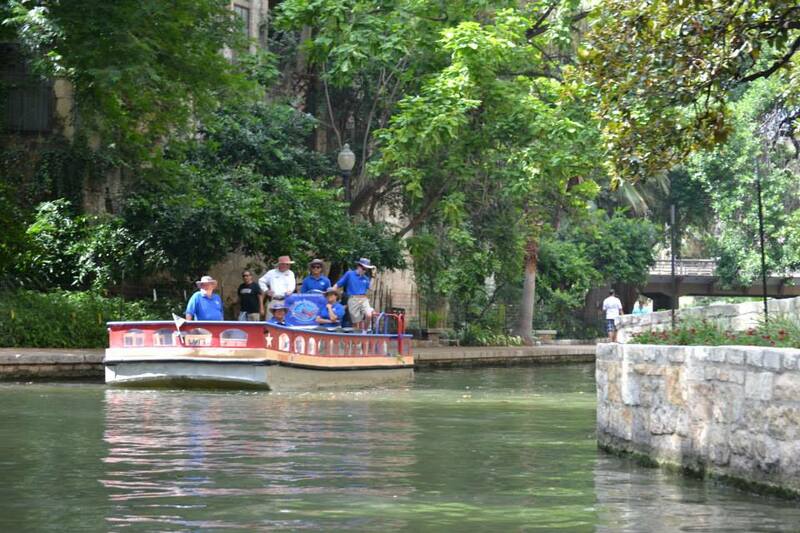 Either by foot or by river barge, the San Antonio River Walk is a perfect way to navigate beautiful San Antonio. We didn't have planned last weekend so we decided to do a little road trip to Buckhannon Upshur, West Virginia. My daughter's friends from her class who supported her team during the regional WV History Bowl decided to compete as well. They had a very short time to learn the infos but they did really well considering the circumstance. The competition was held in Buckhannon Upshur, West Virginia. BU High School is a really nice school. It is 2 hour and half drive from our place but the drive was worth it. We wanted to show our support to these girls so we surprised them a visit and stayed and watched them compete. Buckhannon is the only incorporated city in, and the county seat of, Upshur County, West Virginia. It is located along the Buckhannon River. According to the census in 2010, the population there is only 5,639 so I was surprised of how big their schools. We passed by the Middle School and it is huge as well. We have never been to this part of our State so it was a new place that we were given an opportunity to explore. Buckhannon is a small city but it looks very clean and peaceful. The people there seems very friendly. We drove around after the competition and ate at Hardee's. Whenever I see old house like the yellow house above, I always admire its charm. Before going there, we looked up what we can do or see there and one of the attraction is the Pringle Tree. It's a tree that was planted and named for John and Samuel Pringle, the first settlers of this section of West Virginia who lived in a hollow sycamore tree. We tried to locate it but unfortunately we did not find it so we left. The competition has ended for the girls around 2 pm so we decided to extend our road trip to another city next to Buckhannon Upshur. I will make a separate post about Elkins on my other travel blog. Our visit to Buckhannon although short, was very nice. I was very impressed of how clean their place looks. It looks like a really nice place to raise a family. The exhibit found in Independence Hall museum in Wheeling WV highlights the individuals who were responsible for creating the the state in the midst of the Civil War. The men who served governor, legislators, conventions, delegates and in other positions in the new government of West Virginia and restored government of Virginia. I think that the annual history bowl event helps in nurturing and inspiring West Virginia's children in embracing their potential to make a difference in the world. The founder of this event, Mr. Randahll, gave a short speech before the competition begun and he said that he's been all over Europe for years but came back to West Virginia because it is is HOME. He teased the crowd that people who have never been in WV is missing out. As a retired navy, my husband really enjoyed all of the military stuff display. According to one of the host of the events whom we talked to, the grand architecture of the building's interiors has been authentically restored. She said it was a mess when they first started restoring the place but it looks beautiful now. With statues being torn down these days, I am glad that you can still learn the history through museums like this. "West Virginia: Born of the Civil War." : You can find and see the permanent exhibition, located on the first floor of the museum. It features dramatic displays with period artifacts. If you are into history, you can explore the statehood process against the background of the Civil War. It's a pretty neat experience. I like the setting because aside from the information laid out in each display, there's is also an audio you can listen to by lifting the telephone like tool. You can also view an interpretive video, "For Liberty and Union," and take a self-guided tour of the structure. This used to be the Governor's office. I really find the arch window shaped so charming. I don't see this kind of chandelier anymore so it was a treat to see it there at the museum. I am glad that there are museums that young mind can go to and explore. They can learn a lot of things like preservation of the flag which is not being taught in school anymore these days. The school where my children go to still recites the Pledge of Allegiance everyday so I am grateful about that. I like this part of the museum right here. You can build your own flag. "Nearly six years before President Lincoln signed the proclamation making West Virginia the 35th State in the Union, the construction had begun on the Wheeling Custom House, the headquarters for federal offices for the Western District of Virginia. Its completion, coinciding with the beginning of the Civil War, provided a facility for heated political discussions and constitutional conventions that led to eventual statehood for West Virginia in 1863. Here, issues dividing many Virginians - slavery being one of many - were debated, compromised and shaped into the skeleton of statehood. Serving as the Restored Government of Virginia (aligned with the Union) from 1861-1863, it is appropriately known today as West Virginia Independence Hall." Aside from salt, West Virginia is also known for glass manufacturing back in the day. There's also a factory in Newell, WV for fiestaware. These tools represents the iron reproduction in West Virginia back in the day. Mining is also one of the biggest thing in WV back in the day. We plan to go back there one day just so we could fully absorb and see all the infos in the display. Steamboats and trains are two biggest part of transportation of coal and other products back in the day in West Virginia. There's still trains and steamboat these days and it is so neat to see the old ones that was used in the civil war era. This tool was invented by a Virginian, Cyrus McCormick from Shenandoah Valley in 1831. This is called the Virginia Reaper machine which revolutionized harvesting wheat. This machine had a very positive effect for the Union of the Civil War. You can read the facts about this machine below. Wheeling is the civil war capitol of Virginia, a birthplace of West Virginia. This is where West Virginia was born. Try to explore this Independence Hall Museum when you are in Wheeling.